Beercast Ep 07 – Halibut? We finally got round to investing in some new equipment! Not that it will make the content any more interesting but hopefully it should better. We are back to discuss the most recent anime shows airing in the Winter 2016 season and for Colin to say “basically” too much. Enjoy! As always, the podcast contains NSFW language. Well, lets see how this goes. This will be my first post via something other than my pc, aka i actually got a new phone/a phone that knows what the internet actually is. Anyways this is Salty kiss from Magic rock brewery standing at 4.1%. 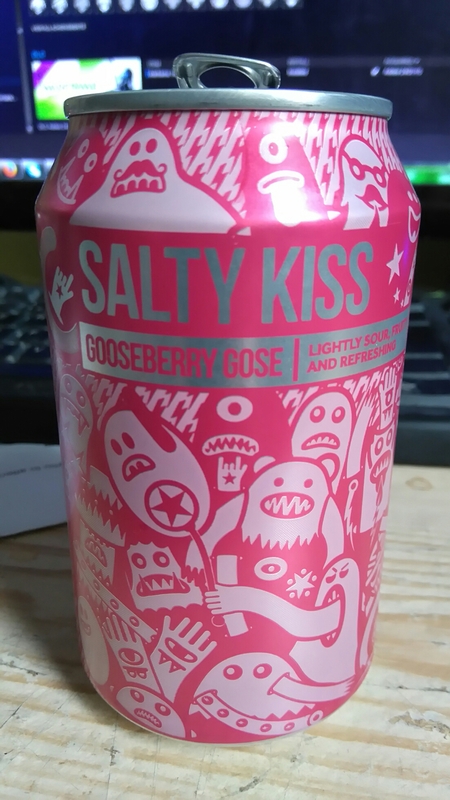 Normally i stay far away from sour beers but the design on the can got to me. Honestly its not too bad, it is lightly sour and doesnt build every sip. Nothing special but nothing intrusive. Not bad my friend.